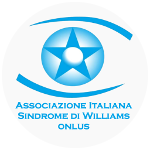 The Italian Association for Williams Syndrome (AISW) was founded in June 1996 by the will of a group of parents with a desire to create a non-profit solution to solve medical, rehabilitative, educational, social and legal problems of the people with SW and their families. Thanks to the activities of the Scientific Committee and Board, the contribution of highly qualified professionals, and the valuable work of volunteers, fundamental progress has been made. Since 2004 the AISW works closely with other European associations with the founding of FEWS, the federation that unites and coordinates them.